Silent Sunday 02/02/14 Fresh air and fun! We were recently sent a Lego City High Speed Police Chase set and invited to play out an action scene with the kids using the Lego set and their imaginations. We could win £100 of Lego if we are chosen as the most entertaining! With two Lego mad children and one camera/video crazed hubbie the gorgeous boys were in their element! Love the attempt at an American accent! Thank you to Carcraft for giving us this opportunity! 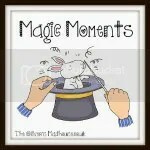 Linking up with Magic Moments..
What a great job on this! Too funny! Also, have you ever checked out a product called ZU30? Just do a Google search on it. It’s a relatively inexpensive animation tool that is really easy to use. My daughter is working on a video for the new LEGO Simpson’s House just released by LEGO on February 1st. Anyway, really enjoyed your post. thank you, a video with the Simpson’s house would just be amazing, will look out for that! Hope lego bring out some smaller kits for the Simpsons too. Yes I agree, the new LEGO Simpson’s House is a little pricey at $199. But on my link for the LEGO Simpson’s House it’s still less expensive then Amazon. Looks like they had a lot of fun doing that! I love the interferance on the radio!